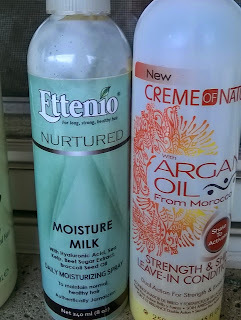 The chase of the soft moisturized tresses is always on, therefore this week was no exception. I really wanted to recreate the lovely feeling I had last week. Since, I was not going to do a protein treatment two weeks in a row I focused on using products that are moisturizing. 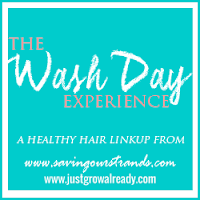 Here is how I went about this weeks wash day. 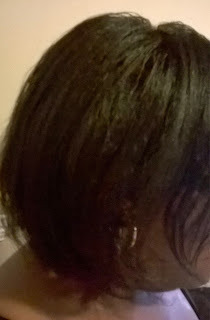 Prepoo- Detangled with warm coconut oil and prepoo with Cantu conditioning repair leave in cream and avocado oil mix under my conditioning cap for 45 minutes. 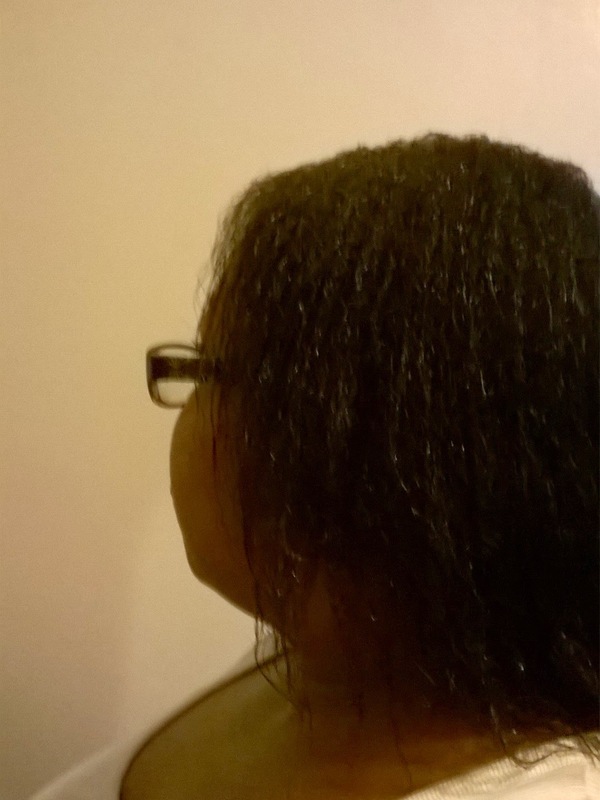 I love using the Cantu repair cream as a prepoo because I get the benefit without it weighing my hair down. Shampoo- After rinsing out the prepoo mix, I shampooed with Creme of Nature Red Clover & Aloe. As usual I only lather once before rinsing out with warm water. I like this shampoo even though it doesn't lather as much but it does leave my hair feeling clean and moisturized. Deep Condition- Deep conditioned with ORS replenishing Conditioner and Jamaican Black Castor Oil mix under my conditioning cap for an hour. 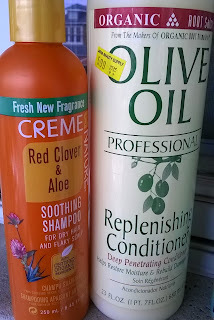 Since I have being adding JBCO to my conditioner I have noticed that the amount of shedded hair is less and also that my hair appears fuller and thicker. Once I rinsed out the conditioning mix I t-shirt dry for ten minutes; I could not stop running my hands through my hair because it felt so soft and moisturized. 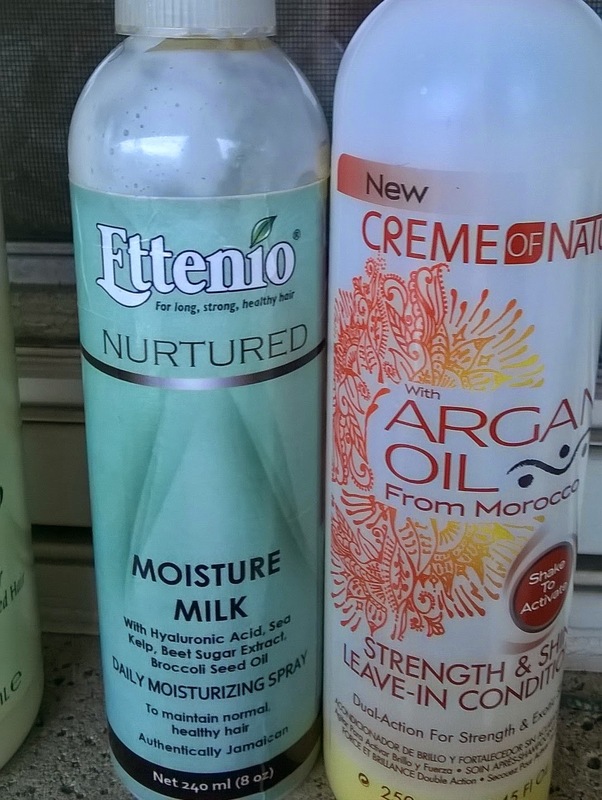 Leave-in conditioner and Moisturizer- Applied Creme of Nature strength & shine leave in conditioner, followed by Ettenio Moisture milk. I don't normally roller set my hair wet but I wanted to have big fluffy hair so I sprayed my hair with Lottabody setting lotion and roller set with twenty-two 1 1/2 inch rollers. Then sat under my bonnet dryer for and hour. Well let me tell you my hair was so soft and fluffy I could not believe that it was my hair. The moisture level was something I have not experienced in a very long time. I think the protein treatment from last week was the catalyst so I'll certainly add more protein treatment to my regimen. Awesome that your hair came out soft and fluffy, do you think it's the castor oil or the conditioner that made it soft? Thanks, I think it is the combination of the conditioner and the castor oil.